Setup VPN on Mac, Linux and Windows within few minutes with this pointing guide. For non tech users setup of VPN can be made easier in various ways. VPN stands for Virtual Private Server, about which the theoretical part has been discussed before in the article on details of Virtual Private Network (VPN) and Mobile Virtual Private Network. This is a pointing guide because it point towards standard in detailed guides. 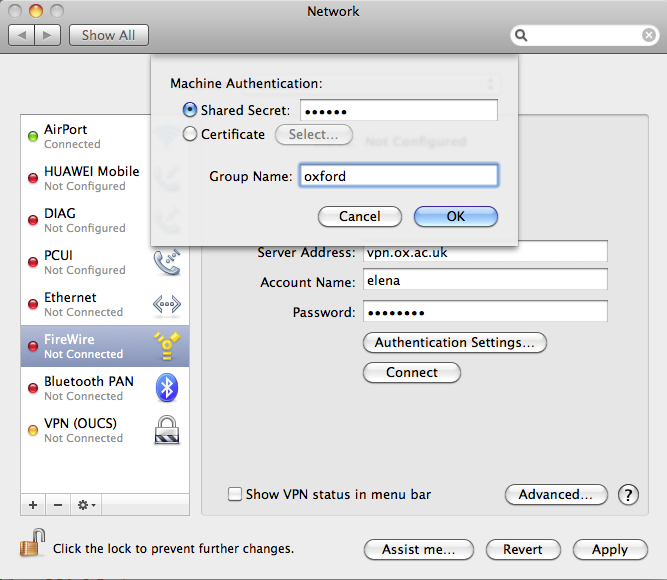 VPN users might require to setup VPN on Mac, Linux and Windows for the communication networks inside a restricted network, when they want to have the access to the network of the University for example, but can not work directly in the network of the university (i.e. not over their LAN connections). You have access to a network that is not part of the network of the University even if this network has an Internet access. If you want to use certain ports in the computer network of the University, which are intended only for authenticated access you will need the setup. This is a practical need for many. To use VPN connections of an University or an institution you will need an user ID (like for me.ac.in, me.edu.in, example-vpn, example-password) and the installation of a client program required. The VPN server cluster in across universities supports different protocols, grossly usually with two protocols. In other word to setup VPN on Mac, Linux and Windows, the easiest way is to use a client software, otherwise you will have to follow quite difficult networking setup from Operating System’s default software. Your computer must be running the Operating System latest version with all updates. There might be conflict if it is not latest. You computer must already have an Internet connection. You must have a Remote Access Services account. This step varies among Mac, Linux and Windows. All possible combinations are listed there, you will just need to change the user ID (like for me.ac.in, me.edu.in, example-vpn, example-password) with yours. This Article Has Been Shared 2959 Times! If you provide such tutorials for http://centminmod.com/, that will be very help ful for me. Please watch it and give us feedback if more clarification is needed. Definitely I will try to clear any doubt for any step. Cite this article as: Abhishek Ghosh, "Setup VPN on Mac, Linux and Windows," in The Customize Windows, December 28, 2012, April 19, 2019, https://thecustomizewindows.com/2012/12/setup-vpn-on-mac-linux-and-windows/.